Nageshwar Temple is a famous temple dedicated to Lord Shiva. 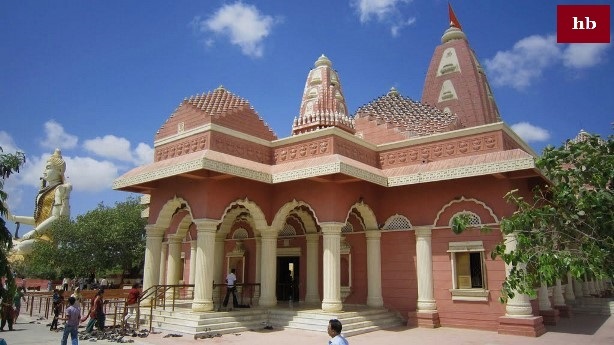 It is located in Dwarka, Gujarat. It is one of the 12 Jyotirlingas of Shiv ji. According to Hindu religion, Nageshwar means God of the serpent. It is also a reference to the prevention of toxin etc. In the Rudra avatar, these Gods have been called as Nageshava. This famous Jyotirlinga of Lord Shiva is located approximately 17 miles from Dwarka Puri in the Gujarat province. This holy Nageshwar Jyotirlinga has been described as a great glory in the scriptures of philosophy. It has been said that whoever will listen to the story of its origins and glory, after getting rid of all the sins and enjoying all the pleasures, eventually the supreme holy Divya Dham of Lord Shiva will be attained. Sudari was a great saint and virtuous Vaishya. He was the exclusive devotee of Lord Shiva. He was constantly engrossed in his worship and meditation. He used to do all his work by offering it to Lord Shiva. He was engrossed in the pure consciousness of mind, word and action. A demon named Daruq was very angry because of this Shiva devotion. This worship of Lord Shiva did not look good anyway. He constantly used to try to get the troubles of worshiping those sudri. Once on a well-ordered boat, it was going somewhere. The evil monster Blauck saw this opportunity and attacked the boat. He captured all the passengers aboard the boat and took him to his capital and imprisoned. Even in the well-known prison, worshiping God Shiva according to his routine, worshiped Lord Shiva. He started giving inspiration to Shiva devotees to other captive travelers too. When the servant heard this news about the wellbeing of his servants, then he became very angry and came to the jail. At that time, Lord Krishna was sitting close to the eyes, meditating at the feet of Shiva. The monster saw his posture and scolding him in the most horrific voice: 'Hey evil Vaishya! You have closed your eyes and wondered what is going on here in the form of fuss and conspiracy? Even after saying this, the Samadhi of Goddess Shibbhat Suupari did not dissolve. Now, he became mad just by the drunken monster anger. He immediately ordered his passions and ordered the killing of all other prisoners. Sudarishan did not get disturbed and frightened by this order.With a concentrated mind, he started praying to Lord Shiva for the liberation of himself and other detainees. He had complete faith that my adorable God Shiva would definitely relieve me from this calamity. By listening to his prayers, Lord bhagwan Shankar ji immediately appeared in a prison where he appeared on a glowing throne and appeared as Jyothirling. He thus presented Darshan to Sudari and provided him his weapon of war. After killing the demon Daru and his assistant, Sudri went to Sudhadham. According to the order of Lord Shiva, this Jyothirlinga was named Nageshwar. In addition to this Jyothirlinga, we get to see the details of two more Nageshwar Jyotirlingas in history. One in Andhra Pradesh, near Purna in Ogagram and second in Almora. According to Shiva Purana, who once sees Nageshwar Jyotirlinga, he is happy and prosperous till the end. According to Shiv Purana, Nageshwar is in Jyotirling "Darukavan", which used to be the ancient name of the Jungle in India. The mention of 'Darukavan' also appears in epic poetry, dynamism and trembling in epic. 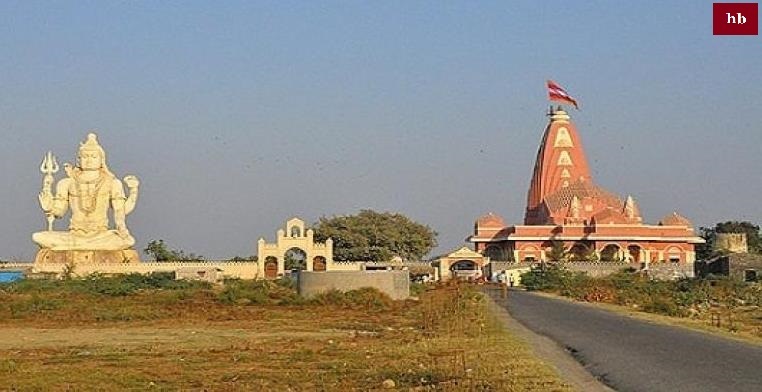 Nageshwar Jyotirling is not a village or town where it is built, but this temple is in the forests far away from Dwarka. 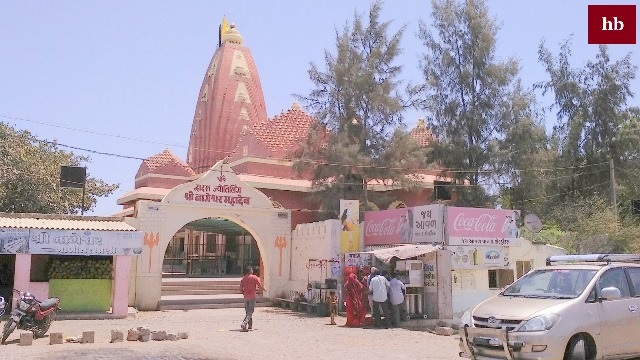 At present, the grand statue of Lord Shiva is also made in the Nageshwar Temple complex, which is also the main center for the attraction of pilgrims. The wonderful form of this temple is definitely worth seeing, and for Shiv bhakto, this temple is not less than Kailash Mountain.